Those nice, well-behaved kids you raised with such care are now covered in sand, jumping off cliffs and devouring everything in sight. They’re not worried about who has nicer shoes or what you thought of their last report card, only who built the biggest drip castle and strategizing for the next water fight. 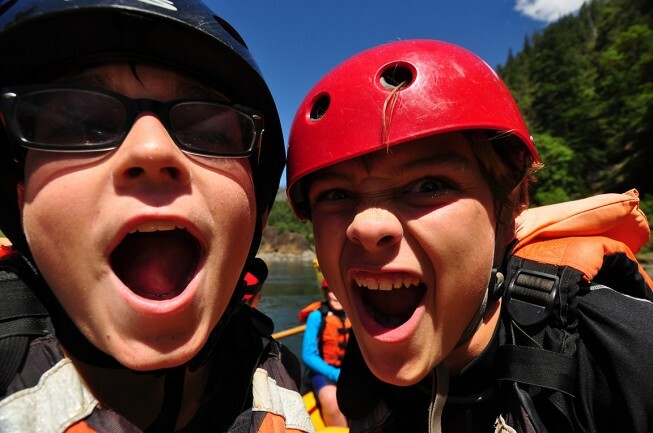 Taking your kids on a rafting trip is a slippery slope; soon they’ll crave more adrenaline, eat more bacon and develop a penchant for bawdy jokes. Be warned parents. 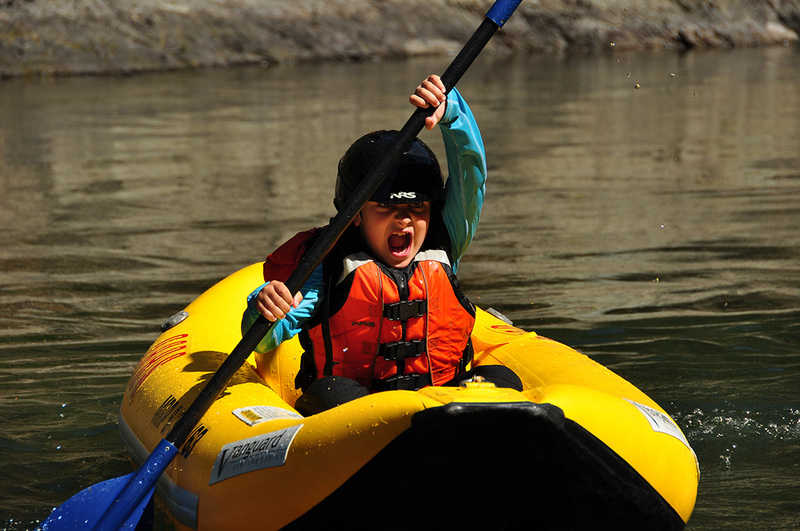 Don’t let your kids grow up to be river guides. They’ll befriend anyone. Even the shyest kids can’t resist a game of Hunker Down or beach tag. By day two it’s hard to believe some kids haven’t spent their whole lives together. 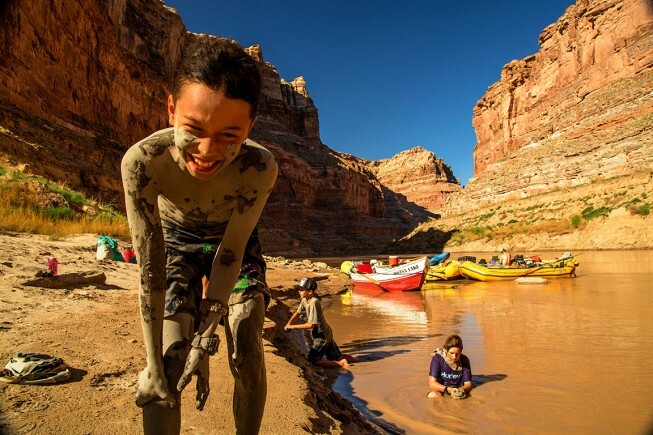 Age, race, gender and geography mean nothing on the river. Meeting new people isn’t scary, it’s just one more person on your team. They will eat anything. A squirt that’s only eaten hot dogs for the last year of his life and gags if you mention something as plebian as broccoli is in for a shock. At the end of a long day of paddling, swimming, hiking and squealing he’s not even looking at what he’s eating. Your breathless bambino will house a jumbo burrito in a minute flat. They’ll never be bored. Kids dread being bored. Their brains fire at a faster pace, are infinitely more malleable and are desperate for new information. Without stimulation their minds look for any distraction and it seems the only consistent place they find it these days is on a tiny screen. 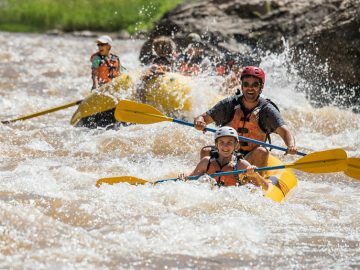 Once on a rafting trip the world opens up, the river changes daily and each bend brings new animals, new scenes and fresh rapids. They’ll govern themselves. Without constant supervision you may think they’d devolve into Lord of the Flies, but fear not! Kids take on specific roles, yes, but they also develop a sharp, personal sense for right and wrong, and in relying on each other for fun and safety they build trust. Every now and again a dictator rises, but is easily toppled with a stern word from Mom. They’ll be adrenaline junkies. Soaked and squealing after their first big hit in a rapid, your pipsqueaks will never be the same. What began as fear morphs into a highly addictive thrill pushing them to one-up each other. Between flips off the bow, cliff-jumping, rapid-swimming and beach races, there’s no end to endorphins. They’ll feel powerful. 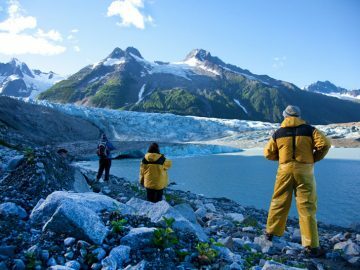 Nothing empowers young people like rowing a boat for the first time or setting up their own tent or finishing a big hike. As masters of their bodies, they discard feelings of inadequacy and enjoy what the body can do rather than what it looks like. So should you take kids on a rafting trip? It’s up to you if you want to introduce your kids to life on the river, but now at least you know how they’ll turn out if you do.